The housing crisis in Australia is not an economic inevitability. It is the symptom of a series of political decisions. It is not just a matter of the government standing back and letting the housing market do its thing, thereby locking over 100,000 people out of having a place to call home and locking close to a million households into the daily struggle with housing stress. It is worse than that. The government is actually intervening in the market, especially through such levers as negative gearing and the capital gains tax discount, to ramp up housing inequality! Add to this the government’s refusal to show leadership in providing the policy framework and the investment in social housing stock, as well as its grudging drip-feed of homelessness service funding, and what we get is a situation where when could be forgiven for thinking that the persistence and exacerbation of homelessness, rather than its amelioration and prevention, is actually government policy. This problem is not new. The surrender to market idolatry in the eighties and nineties was initially accompanied by an attempt at a social contract of sorts. Government was still going to play a role, through cash and non-cash transfers, including the concept of a social wage, in ensuring that the losers in the shake-up of micro-economic reform would be protected to some degree as they navigated their way through the marketplace. The state began to shrink its role in the provision of certain essential goods and services and the market was freed up to work its putative magic in areas that had previously been semi-quarantined. If only, as a society, we put as much energy and political decisiveness into the liberation of people as we have for the liberation of markets! As the neoliberal juggernaut crashed its way into every aspect of our lives, it was no surprise that something as personal and profoundly human as having a place to call home would fall prey to an ever-widening inequality resulting from an ever-spiralling source of profit and speculation. Neoliberalism is a preferential option for protecting and expanding the profits of the few over the provision of essentials for the many. It is not the uncertainty of social and technological change that threatens the security of ordinary people. It is the political decision-making that opts to protect the security of profit-making to the detriment of the social and economic security for working people, including those who have been residualised by the labour market, and therefore every other market, because of structurally caused unemployment or underemployment, disability, illness, caring responsibilities, and being young or being old. It’s easy to talk about embracing uncertainty and disruption when you know you have a few certainties you can rely on, especially if appropriate housing is one of them. It’s very hard to get a job or keep a job if you do not have a place to call home. It’s nigh impossible to study at TAFE, university or school, if you do not have appropriate housing. It’s hard to take care of your health. It’s hard to build relationships or to maintain them. It’s impossible to feel safe, to feel that you are a respected member of society, let alone an economic participant. All of which is why, if the government were truly serious about embracing a priority investment model that prevents people falling into poverty or homelessness, it would make a massive, much needed, investment in social housing, in the order of $10 billion over four years, to meet the massive shortfall in social housing. It would do this alongside providing funding certainty for homelessness services as well as social security, rather than everlasting social insecurity, for people who receive income support. Centrelink would be viewed as a means of helping people rather than, as we are currently witnessing, as a weapon of deficit reduction. And it would not, as the Treasurer is currently hinting, denude the current funding arrangements for social housing and homelessness services in the meantime, blaming and running down the service-providers and statutory authorities for the persistence of homelessness and housing stress, instead of taking responsibility and showing national vision in the face of a national problem. 1. 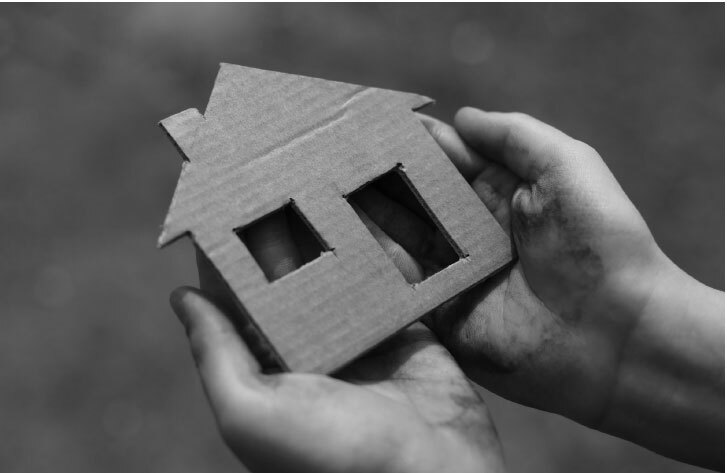 To meet the urgent needs for investment in building new houses for the most vulnerable, the Society proposes the Federal Government establishes a $10 billion Social Housing Fund. The Fund will provide loans to a range of entities to build new social and affordable housing, with a strong preference for community and locally based providers. The interest payable would be as low as possible and would vary depending on the amount of capital or other contribution the entity brings. The building of housing is to be governed by strict guidelines to ensure high quality, sustainable and environmentally efficient housing in areas where it is needed and which meet the social and community needs of those using it. The performance of the Fund will be reviewed annually to ensure it is meeting the real needs of the most vulnerable in the community. 2. All governments formally recognise the human right to housing as a basis for housing policy and accept the obligations this places on governments and the community. This requires that: the Federal Government and all state and territory governments include the active responsibility and administration for responding to homelessness in the role of housing ministers and their departments; Ministers of Housing be redesignated as Ministers for Housing & Homelessness, with clearly defined strategic responsibility for ensuring that sufficient housing is available for people experiencing exclusion; National Human Rights legislation be amended to recognise the right to housing; anti-discrimination legislation be amended to protect those in housing deprivation; and Australia be open to scrutiny of appropriate international bodies for its compliance with provision of housing as a human right. 3. We need reform of housing policy to sustain and adapt the supply of housing to meet the needs of all in the community. This requires: a new national multi-sector working group to develop a coherent national strategy to ensure that the capacity to meet all housing needs across Australia is sustained; a national strategy that is guided by respect for human rights and community diversity, balancing the needs for employment, housing, health, education and transport service and the emerging opportunities for improved and ecologically efficient building; changes to negative gearing and capital gains tax to favour building new affordable housing; a review of the rental market to ensure it is operating in a way that both maximises the supply of affordable rental accommodation and provides appropriate protection of the rights of renters; Commonwealth Rent Assistance to be increased and indexed properly. As Slavoj Zizek reminds us: ‘Symptoms are never just secondary failures or distortions of a basically sound system – they are indicators that there is something “rotten” at the very heart of the system.’ Rampant and rising housing insecurity and homelessness in prosperous Australia are symptoms of the rottenness of neoliberalism and the market idolatry on which it is predicated. The problem of inequality, including housing inequality, rather than being allowed to overwhelm the lives of people, is the responsibility of any government that claims to be a government for people. For a failure to reduce inequality is a failure to govern. Dr John Falzon is CEO, St Vincent de Paul Society, Australia. This article first appeared on Pearls and Irritations, a blog by John Menadue, who is a businessman and public commentator, and formerly a senior public servant and diplomat.